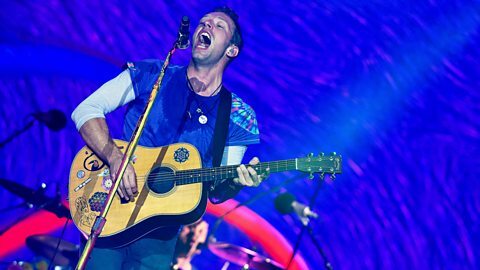 Coldplay's emergence as a world-beating band is inextricably linked to the Glastonbury festival, and Michael and Emily Eavis in particular (Chris Martin even played at Michael Eavis' 80th birthday party). Their performances at Worthy Farm have marked key moments in the band's history, inspiring them to greater heights and providing some of Glastonbury's most memorable moments. Here's how Coldplay got from there to here, starting with their first nervy appearance on the New Bands Stage. 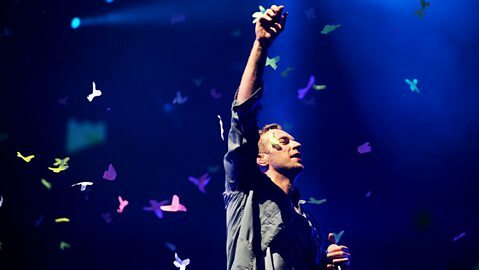 Coldplay performs Yellow on Later...with Jools Holland. 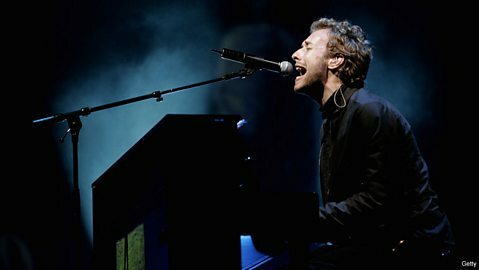 Coldplay's first appearance at Glastonbury was only a few months after signing their record deal (and finishing their final exams for university). As you can see from their debut performance on Later... with Jools Holland, they were yet to transform into world-straddling rock stars, and at the time of the 1999 festival they had two EPs under their belts and were about to record their third, The Blue Room. It was a stressful performance, as they'd been dropped off at the wrong entrance to the site, two miles from the New Bands Tent, with only 10 minutes until showtime. Watch highlights from Glastonbury 2000, featuring Travis, Basement Jaxx, Moloko, Coldplay, Moby, Chemical Brothers, Kelis and David Bowie. 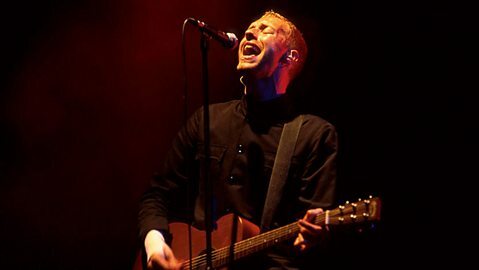 By the time of their second Glasto appearance, Coldplay's debut album Parachutes had been released and they were beginning to forge a good relationship with Michael and Emily Eavis. They performed on The Other Stage, with Yellow being the ubiquitous hit of the year. 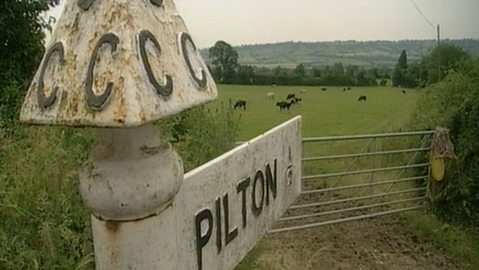 They even came back in September to perform at the annual Pilton Party, the official thank-you from the Eavises to everyone in the local area for putting up with a huge festival on their doorstep. On their official site, the band acknowledge that their first headline appearance at Glastonbury was the spur for finishing their second album A Rush of Blood to the Head. However, recording overran, which gave the band the challenge of playing eight new songs from an album no one had heard yet. Thankfully, the songs in question were future band staples like Politik, Clocks and The Scientist. 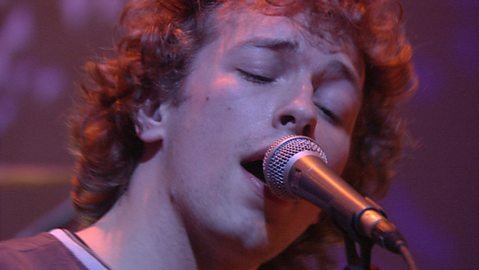 Listen to highlights of Coldplay, The White Stripes, Maximo Park and Rufus Wainwright performing at Glastonbury 2005. While there were no last-minute dashes across the site or worries about new material, 2005's headline slot did take place during one of the festival's wettest years, turning Worthy Farm into a mudbath. So the challenge for the band was not just to get to the stage, play all the songs in tune and not fall over, they also had to lift the spirits of everyone in the crowd. Naturally, they aced it. Highlights from the Pyramid stage as Coldplay return for their third Glastonbury headline performance. The third time is, as they say, the charm. Having wired the Pyramid Stage to glow with vibrant colour, Coldplay's 2011 headline slot is widely considered to be one of the best performances in the festival's long history. In fact it won a BBC poll in 2013, and was described by Jo Whiley as "the perfect Pyramid headline set". 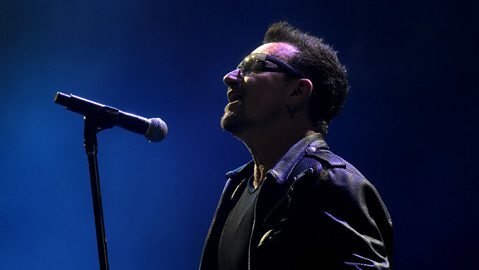 U2 talk Coldplay, Gandalf and Monty Python. With their fourth headline appearance, Coldplay have now topped the bill on the Pyramid Stage more times than any other act. And as their performance at this year's Radio 1 Big Weekend proves, they've still got what it takes to bring a huge event to a joyous conclusion. 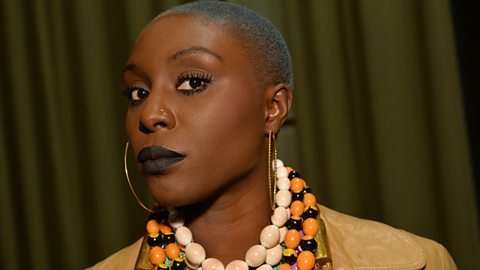 Along the way they've influenced other headliners, including Beyoncé, who agreed to play in 2011 on Chris Martin's personal recommendation, and Jay Z, who was in the audience for their mighty 2011 appearance. Look out for a spectacular piece of audience participation thanks to their famous ultraviolet glowing wristbands, handed out to everyone at the Pyramid Stage. You're a sky full of stars indeed.
.@coldplay are giving out 100,000 LED wristbands that'll light up during their headline set at #Glastonbury tonight. View Muse! What a finale!